After debuting the maiden poster for the anticipated action-comedy sequel earlier in the week, Universal has completed the one-two punch with today’s full-length trailer for Ride Along 2. 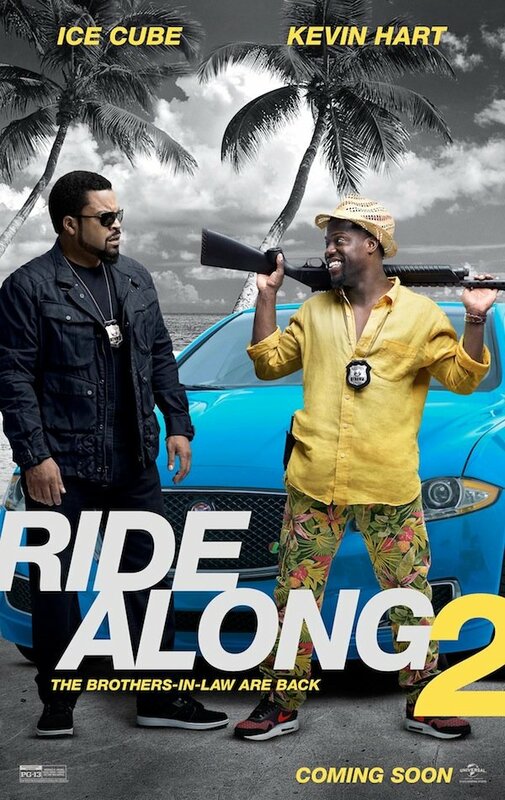 Reuniting the soon to be brothers-in-law Ben Barber (Kevin Hart) and James Peyton (21 Jump Street‘s Ice Cube), the footage sends the bumbling duo on a mission to the sun-kissed streets of Miami, and things get ridiculous in the best possible way. Striking all the chords of your standard buddy cop movie – over-the-top action and internal quarrelling – Ride Along 2 even features a wink and a nudge toward Universal’s Fast and the Furious franchise, replete with a well-timed cameo of its own. Though the first film will go down as a critical dud, Universal, spurred by a $154 million turnover at the box office, is placing its faith in Hart and Cube once again for the sequel. Action comedies have traditionally been a difficult butterfly to pin, but one need only look to the release of 22 Jump Street to discover a genre sequel that hits all the right action and comedy beats. Directed by Tim Story, Ride Along 2 brings together an expanded cast in the form of Ken Jeong, Benjamin Bratt, Olivia Munn, Bruce McGill, Sherri Shepherd and Tika Sumpter, who plays Ben Barber’s soon bride-to-be, Angela. Ride Along 2 blasts into theaters on January 15, 2016.